Creating your first freelance invoice can be hard and confusing at the same time. You want to receive the money for all your hard work quickly, but you cannot seem to gather what to include and what not to include in an invoice. So, you just open a Word document and create a invoice from scratch. While it might seem like a great idea when you are a new freelancer and you only have to generate 1-2 invoices a month, this habit can make you fall into a ditch when your freelancing business takes off. You could forget sending invoices to clients, it would be hard to track down which payments have been done and which have not been done, and most importantly, when you finally have to compile the invoices together to pay taxes, you wouldn’t be able to find them anywhere. In this article, we will be discussing all the information you should add to an invoice and how you can create an invoice. Make sure that your clients know all the work and payment terms before you start working so that there are no surprises when you send the invoice over. 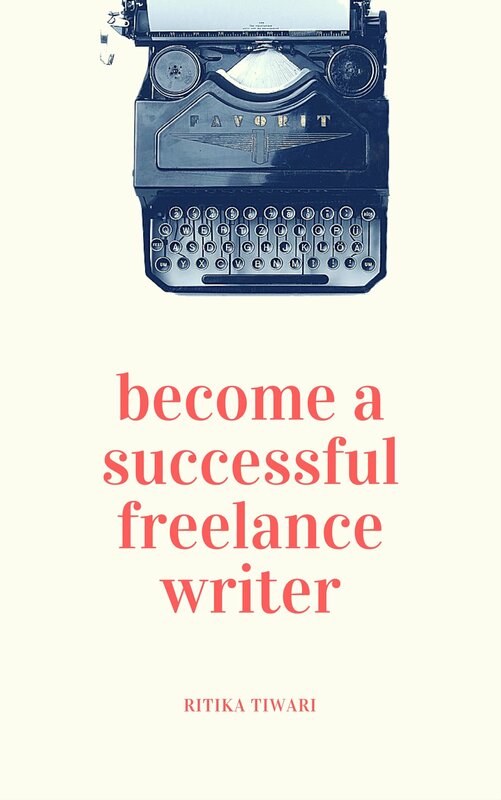 The best way to do that would be by creating a freelance writer agreement and getting it signed by the client. It is also important to mention non-payment and late payment terms. A lot of new freelance writers might hesitate in discussing this but these terms actually ensure that your payments get through on time. Don’t rely on your memory to remember every little charge when it’s time to create an invoice. Maintain a spreadsheet and keep updating it every time you finish a work. Don’t forget to add dates in your spreadsheet as well. 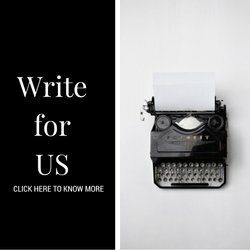 As a freelance writer, you will deal with a lot of clients and create many invoices. By adding a unique invoice number, it becomes easier to track and organize them. Invoice date should be the date when the invoice is sent to the client and payment due date is the date by when the payment is expected to be made. This should be discussed well in advance before you send an invoice. If you haven’t discussed that, payment due date can be seven days from the invoice date. In many companies, your invoice might get sent from your point of contact to the accounts department. If they do need any additional information from you, they may have to reach out to your point of contact which may in turn delay your payment. By adding your name and all the contact information, it becomes easy for anyone with the invoice to directly contact you. If you are in fact working for a company, then apart from mentioning the company’s registered name, you should also add your point of contact’s name and information. Clearly mention every charge in your invoice so that your clients don’t have to come back for you for explanation. Do not assume that they would remember every work you did. So, do not write “Content writing” in the services box and the final amount as charged. 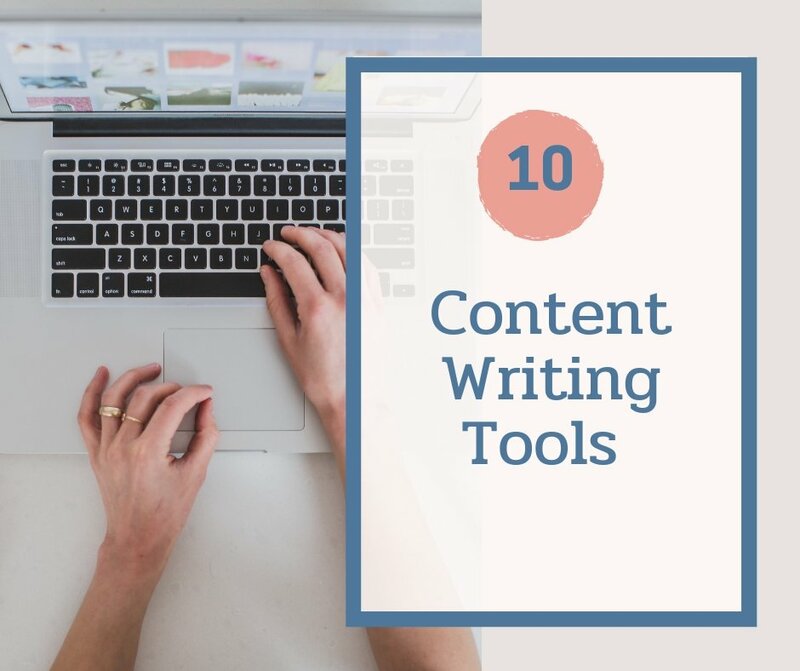 If you have written 5 articles for the client and you are charging per word, then mention each article topic in every row and have separate columns for – Number of words, pay per word, and final amount. This will help your client cross verify all the charges and help them release your payment faster. If there has been any advance payment done, then mention that in the invoice as well and deduct it from the final amount. Just sending your account number and IFSC code doesn’t work because you don’t know how the client is making payments, and they might need more information than that. 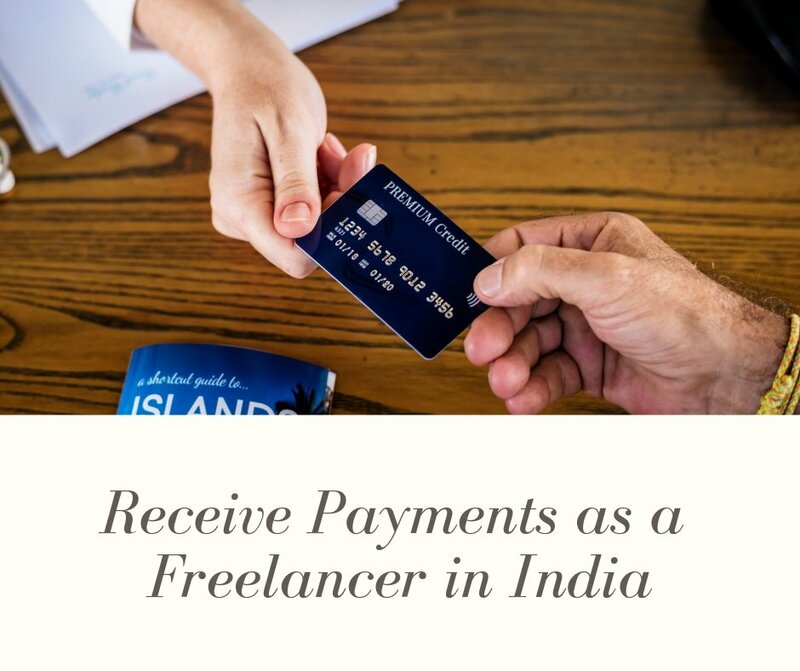 While you might have already mentioned terms of non-payment in the freelance writer agreement, you should also add those terms in the invoice as a reminder. Your PAN card number will be required by firms who will deduct TDS (you can get the TDS return when you file for taxes). If you have a service tax number, then do mention it on the invoice apart from adding a service charge. The easiest way to create an invoice is through a template. You can fill out all the standard details like your name and payment details, and then use this template every time you need to create a new invoice. 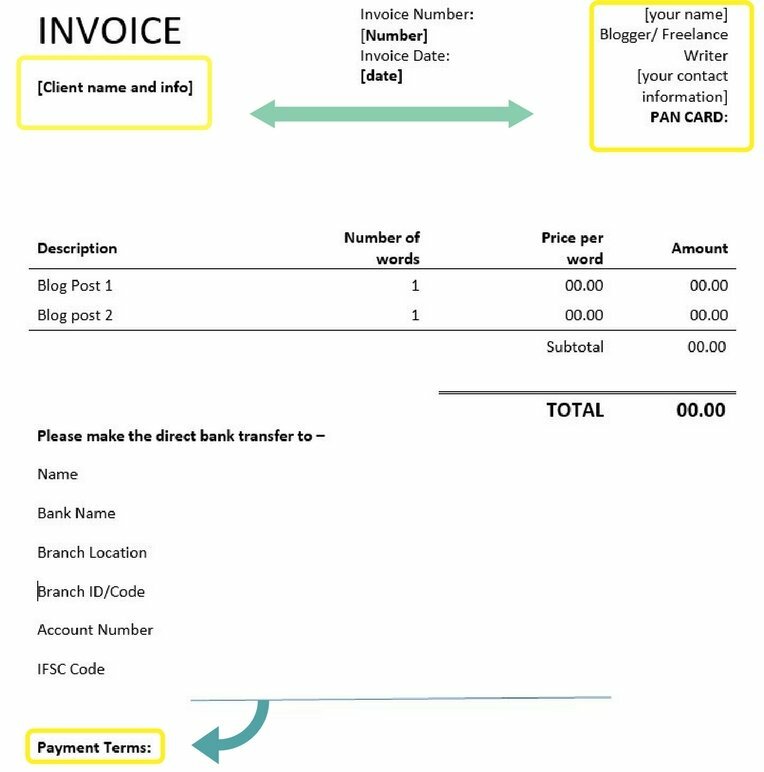 To help you create your first invoice, here is an editable Word template which you can easily use for all your projects. If you already have a PayPal account, then you can also automatically generate a PayPal invoice and the payment will go directly into your PayPal account. This is a great alternative if your client will anyway be paying through PayPal or if they want to pay through their credit card. Though remember that PayPal charges 10% at your end, so you might want to add that to the invoice as well. An invoicing software allows you to automatically create invoices with great templates and remind you of any due payments. I have experimented with a lot of invoicing tools over the years and the only one that I have liked is Wave Apps. Firstly because it’s absolutely free and secondly, it’s the only tool I found which lets me easily edit the column names. Even a sophisticated tool like Zoho doesn’t let me do that. If the client has missed a due date, it’s always better to give them the benefit of the doubt and politely remind them about the unpaid invoice. You can also remind them that there is a late payment fee which you wouldn’t want to levy on them. 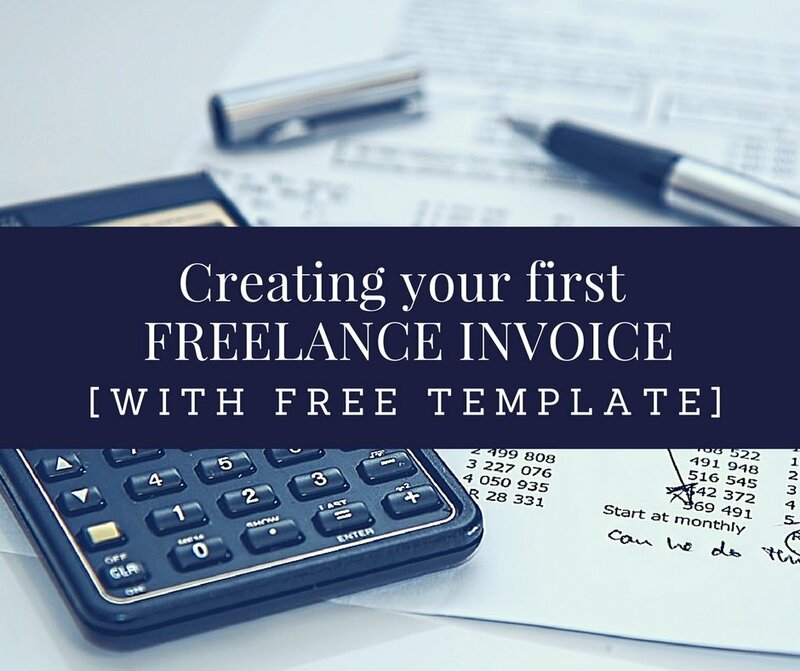 Ready to create your first freelance invoice? Remember, at the end of all this, you get paid cha-ching! Thank you for your valuable information. 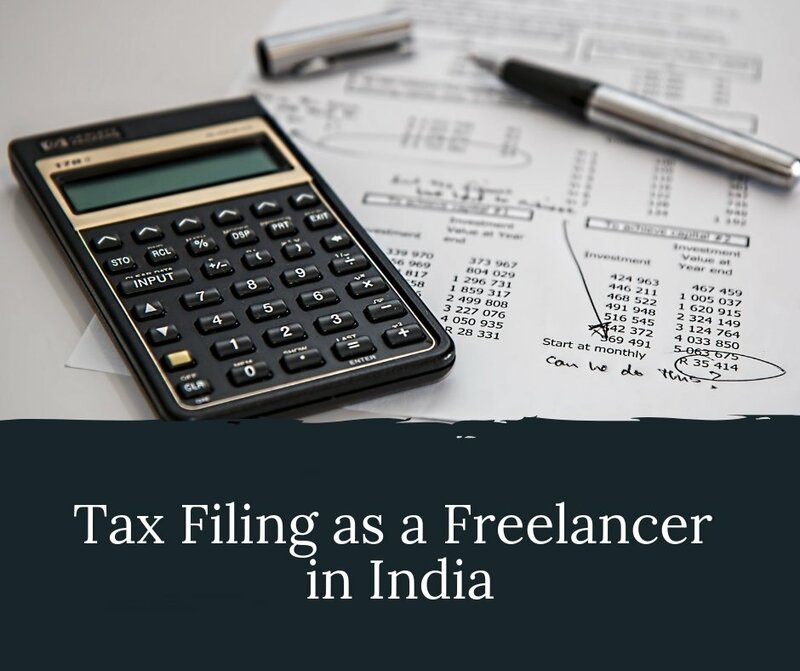 I am planning to start freelancing as IT consultant, could you tell me if I can start by issuing invoices using my PAN or is it mandatory to have GST registration?